14 individually wrapped tablets Ideal for work, school and sport, these delicious orange tablets contain 88% dextrose. 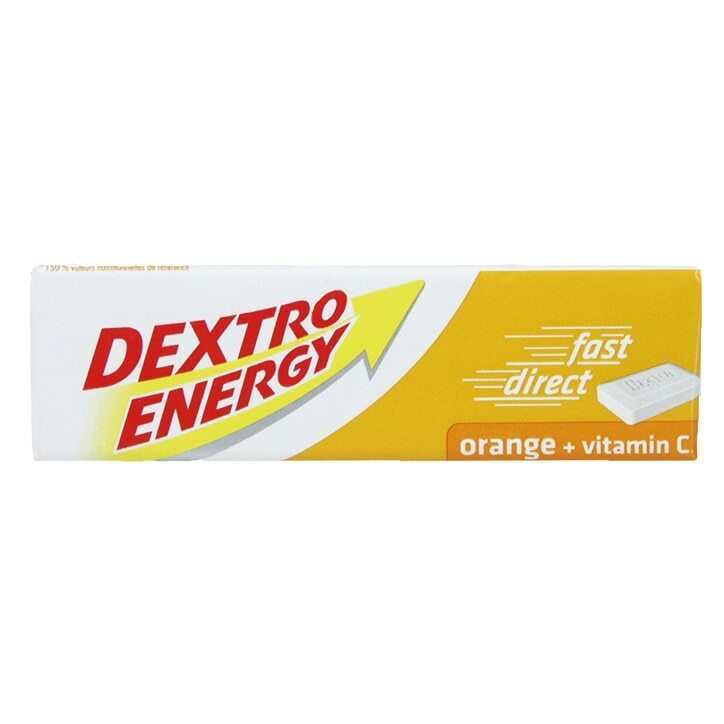 Dextro Energy Orange is rated 4.3 out of 5 by 10. Rated 5 out of 5 by Petra1988 from Ok States individually wrapped but they are not. Apart from that they are ok. Rated 1 out of 5 by Tanveer from Not so good, i feel it just a sweet candy. I used it many a time. Honestly, I didn't see any major Energy Boosting effect on me. When ever i go to the fuel station, sometime i grab it, but most of the time i just keep ignoring it. I feel its more sweet in it and no energy. Rated 3 out of 5 by Anonymous from tastes nice but that was it It is a really nice sweet/candy.. however, it did not give me any energy. So for those who are looking for energy before a workout, this is not for you. For a quick sugar fix, this is perfect and probably more healthier than a starburst or something. Rated 5 out of 5 by 10na from Amazing! I absolutely love this product! You can get them in lots of flavours, and everyone taste deliciously sweet and not artificial at all! They melt in the mouth and gives you energy.